Available for download on the App Store or Google Play prior to embarking on all AmaWaterways’ European and Vietnam and Cambodia itineraries*, “myAmaCruise” makes it easy for guests to access information about their itinerary, store their photos in one simple and accessible location and share those memories with family and friends back home. "As we continue embracing innovation in all areas of our business, it is very important that we use technology to meet the evolving needs of our guests,” said Rudi Schreiner, president and co-owner of AmaWaterways. “We were the first river cruise line to offer complimentary Wi-Fi throughout our ships and with this new app, we’re happy to now provide even more ways for our guests to stay connected and share their experiences with friends and family." 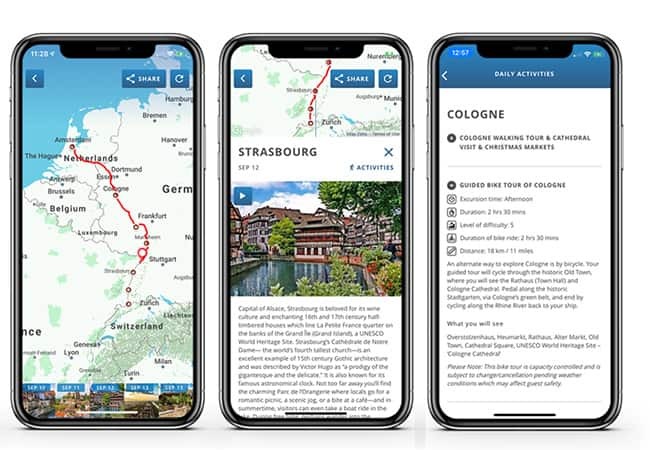 "With the “myAmaCruise” app, our guests will now have all the information they need to make the most of their trip, in new and exciting ways,” said Kristin Karst, executive vice president and co-owner of AmaWaterways. “With so many diverse, included excursions and beautiful destinations to visit during an AmaWaterways journey, ‘myAmaCruise’ makes it easier for our guests to share the memories being made in real time."